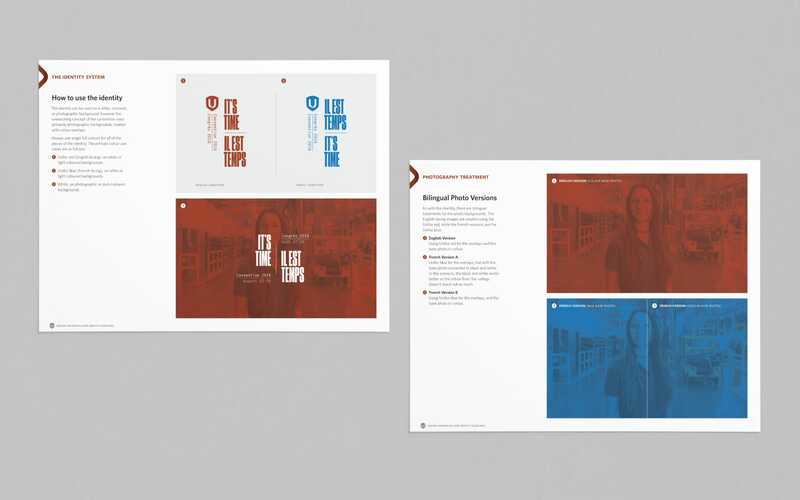 Branding and overall design direction for the Convention of Canada's largest private sector union. Unifor is Canada's largest private sector union representing over 315,000 workers across the country. 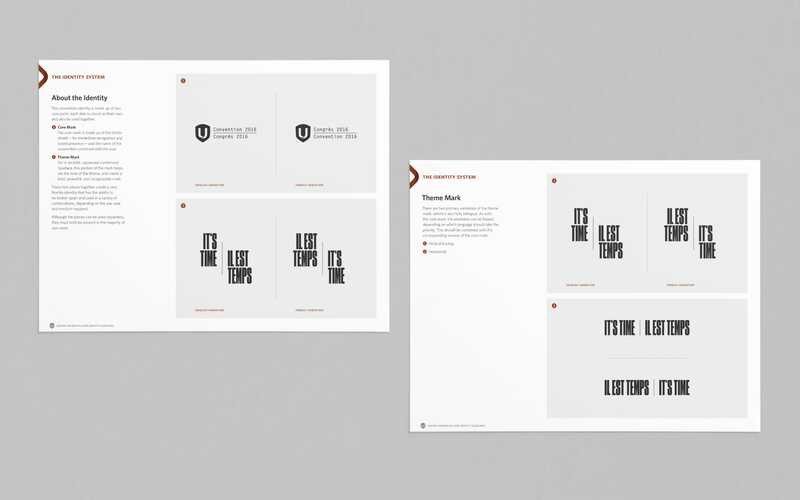 In 2016 they held their second convention over five days, and required a design system to give the convention its own identity, while also working within their existing brand. 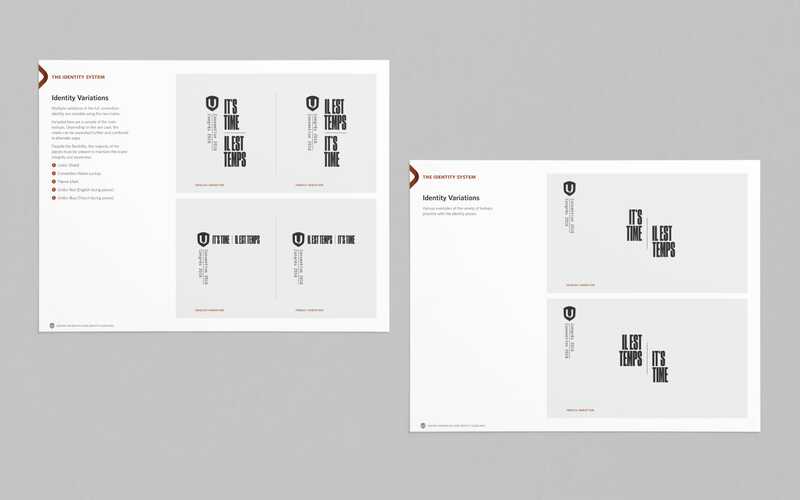 Working with Point Blank Creative, I designed and art directed a bold and flexible identity system. 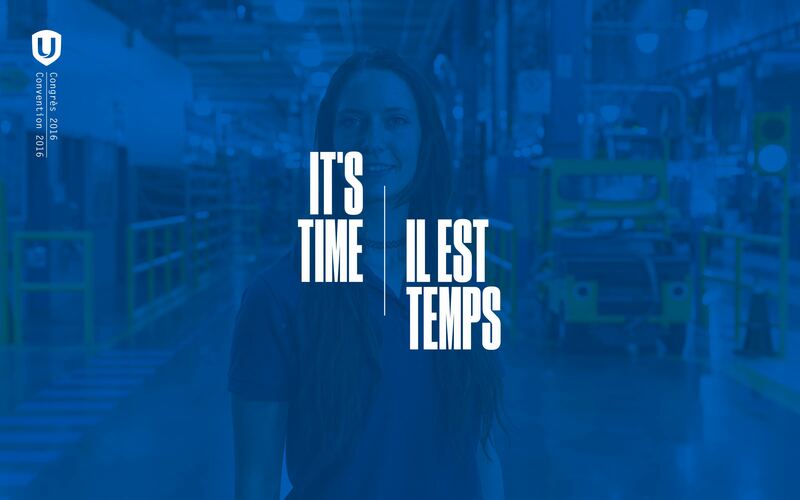 Unifor had existing brand guidelines so the convention identity had to work within the guidelines. I decided on a flexible system that could be broken apart and combined in different ways depending on the context. The main anchor for the primary mark is the Unifor shield, with the secondary mark giving a voice to the theme of the convention. A variety of lockups could be created depending on the medium and context. A number of the convention pieces were going to be created by the in-house communications team, so we created a quick guidelines document showing how each of the pieces can/should be used. 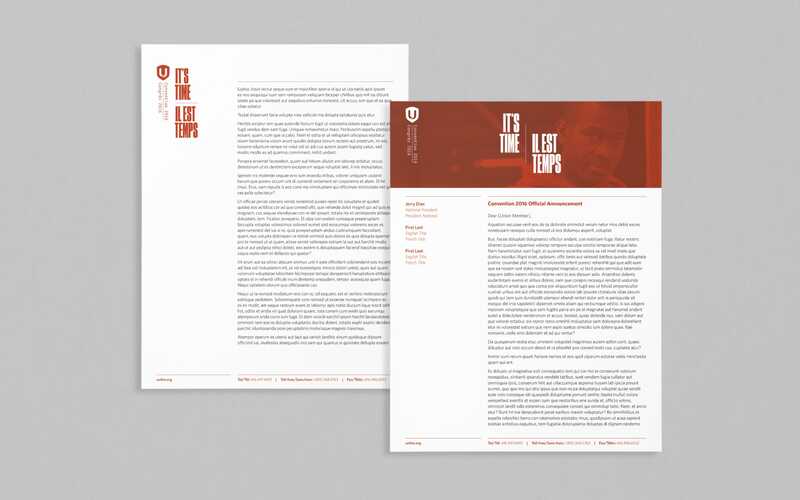 Leading up to, and over the course of the convention the in-house team would need to create various documents so I also provided a set of templates (letterhead, powerpoint, word document).